EUR/USD has seen a bit more action on this mech system compared to EUR/JPY and GBP/USD lately. Did the recent exits score any pips? 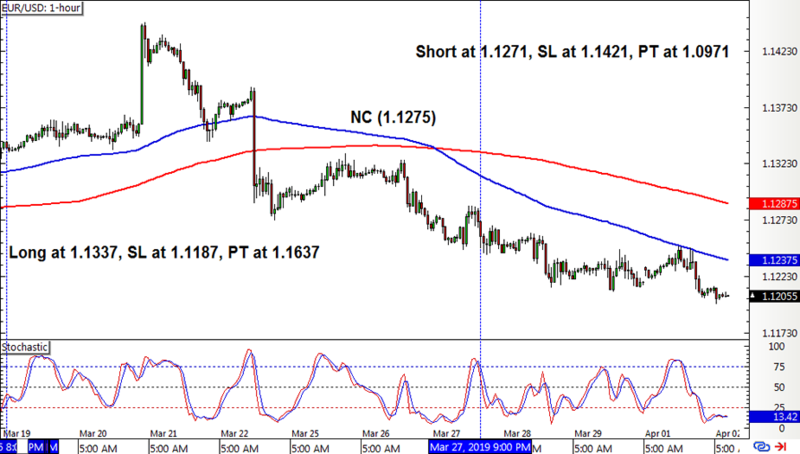 As I feared last week, the open long position on EUR/USD was in danger of getting closed early on a new crossover… and that’s exactly what happened! Unfortunately the early exit didn’t bag any gains. 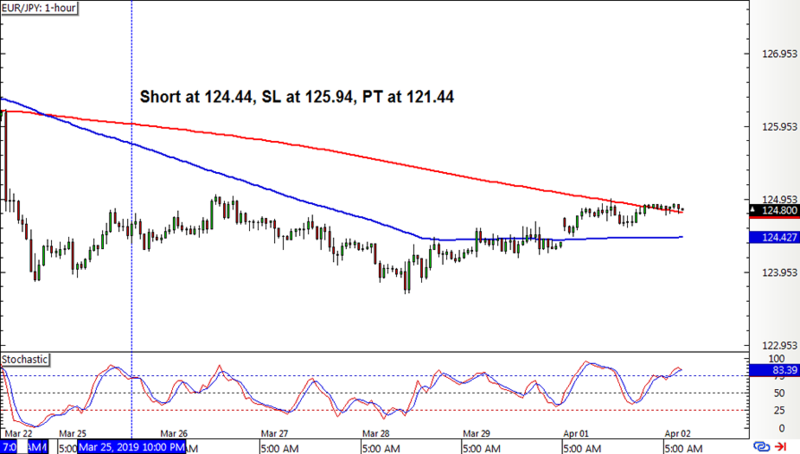 A new short position was opened when stochastic made a pullback signal later in the day. 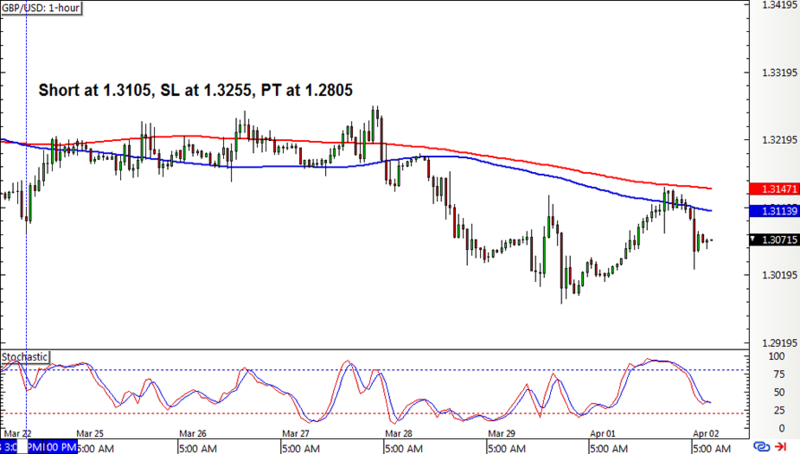 Cable had a short position left open in the previous update and this one is slowly gaining bearish momentum, hopefully having its trailing stop activated soon. EUR/JPY also had a short position left open earlier on. This pair just seems to be moving sideways and could also be prone to an early exit with a new crossover. After last week’s big loss, the SMA Crossover Pullback System chalked up yet another week in the red with a 62-pip or 0.41% dent on the account. Argh! I’ve got open positions on GBP/USD and EUR/JPY, with the former looking at a better chance of scoring a win and the latter likely to be closed on a new crossover. I’m gonna crunch the numbers for Q1, but in the meantime check out how this strategy fared for Q4 2018. How is it holding up to other mechanical systems in Forex Ninja’s weekly showcase?